Through Pinterest, I stumbled upon a link leading to Starbucks’ “secret” menu. Intrigued, I began scanning the various items. While combinations such as the “Captain Crunch Frappuccino” sounded strange, others like “Snickers Frappuccino” sounded absolutely indulgent. I have determined to as many of these secret menu items as possible. Every time I receive a “free drink” coupon from Starbucks, I will dig through the secret menu and pick a new drink to try, posting my findings here. 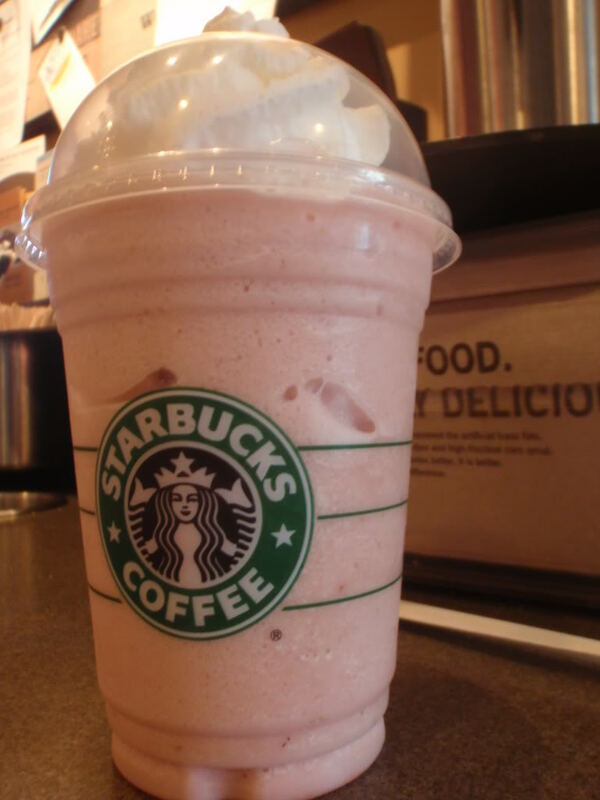 If you want to order the Captain Crunch Frappuccino, ask for a Strawberries and Cream Frappuccino with 2 pumps toffee nut, 2 pumps hazelnut, 2 pumps raspberry, and a scoop of vanilla bean powder (for the crunch). I made mine with nonfat milk and no whip cream. The drink tasted exactly like Crunch Berry Captain Crunch. I was extremely weirded out. I felt like I was sitting at the kitchen table, eating a bowl of Captain Crunch cereal. If you are a fan of the cereal, this is definitely the drink for you. The drink would be a great summer beverage because of the creamy berry flavors. If you’re a coffee person, this probably is not the drink for you. I enjoy trying new drinks every once and a while and the Captain Crunch Frappuccino was definitely new. I’m not a huge fan of the Berry Crunch version of this cereal, so I was not as thrilled by the drink’s discovery. It was fun to find out that this frappuccino tastes exactly like the cereal, but I probably won’t order it again. If you’re a fan of the cereal, go for it! If not, maybe try it once? Who knows what you may find if you try new Starbucks drinks? Starbucks has made it a company goal to make beverages any way a customer wants with the ingredients available. Use this to your advantage! Be creative! Who knows, you may find something berry delicious! Next Next post: A Refreshing Summer Day.